Large ~ 1” (2.5 cm) wide by 1.25” (3 cm) tall. Small ~ 0.75” (2 cm) wide by 1” (2.5 cm) tall. 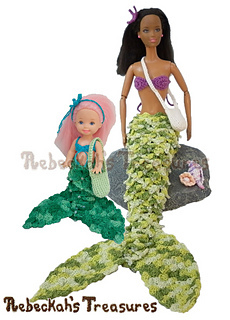 Are your mermaid fashion dolls looking for an adventure? 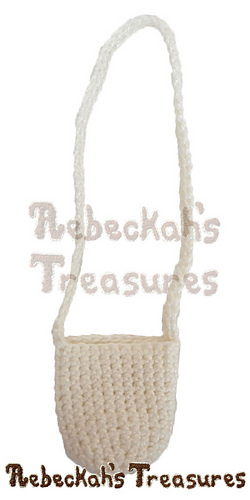 Why not crochet them these cross-body treasure bags! They’re super easy and quick to work up. 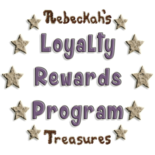 Plus, they are the perfect size for collecting mini treasures, such as sea shells and thingamabobs. Designed as a fun bonus accessory for the fashion doll mermaids, these bags are perfectly suited for the Mattel fashion dolls. 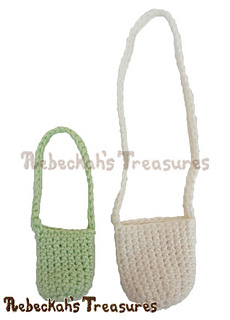 Two bag sizes are here to accommodate all the doll sizes. 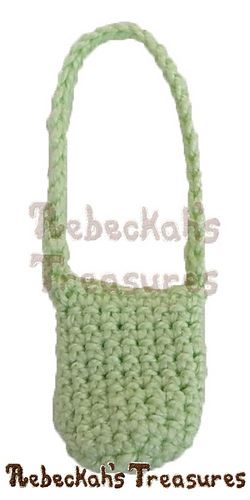 NOTE: The mermaid outfits, shells and hair accessories pictured with these bags are NOT included in this pattern. They are or will soon be made available separately. Find them here along with other under the sea patterns as they become available.